Win a £200 voucher to any UK restaurant. Leeks are a popular ingredient of sausages, salads, stews and soups. Because the season to harvest winter leeks is approaching again, Lovethegarden has decided to make this unique vegetable the central theme of their first recipe blog competition of 2012. 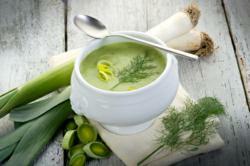 The online gardening experts are challenging all British bloggers to share their own leek recipes. Food blogger and Secret Garden Club host, Kerstin Rodgers, will judge the competition. The winner will get a restaurant voucher worth £200, and the three runners up will each receive a copy of Rodgers’ cookbook, Supper Club. 3. Email the URL of their entry to entries(at)lovethegarden(dot)com before April 8th, 2011. Kerstin Rodgers is not only a food specialist, but also knows all about the challenges of squeezing recipes into the blog format, as she runs the blog The English Can Cook. Bloggers are invited to trim, chop, slice, shred, braise, sweat or mash fresh leeks for a chance to win the prize. Even first-time bloggers are encouraged to get involved! In 2011, Lovethegarden hosted 4 highly popular Vegetable Recipe Competitions: Creative with Cabbage, Potty for Potatoes, Taste for Tomatoes and the Christmas Carrot Competition. The deadline for the Spring a Leek Competition is 11.59pm (UK time) on April 8th, 2011. For more information, please visit the vegetable garden competition page. LovetheGarden ®, ™ and Miracle-Gro, Plus, Scotts and Pour & Feed are trade marks of The Scotts Miracle-Gro Company LLC or its affiliates.